A few found fotos | ¡VidaMaz! This dog is very calm. When we lived in Kansas City, I couldn’t drive a car with our dog inside. 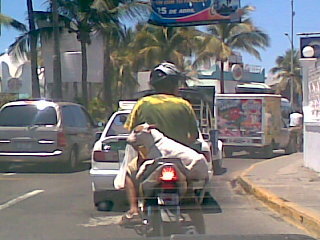 I can’t imagine how you teach a dog to lay still on a motorcycle at speeds of 40-60 kmh, or 25-35 mph. 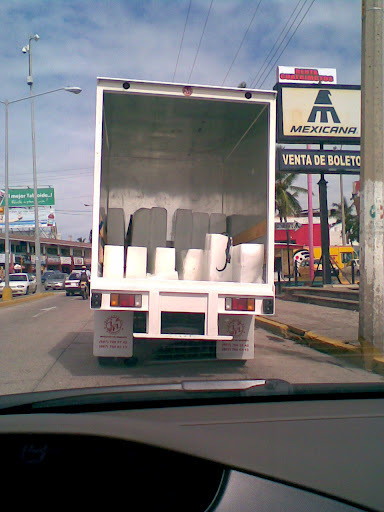 With the heat index well over 100 degrees everyday, this is not the most efficient way to deliver ice!